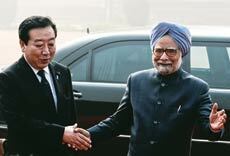 Yen for the Rupee: Japanese Prime Minister Yoshihiko Noda, seen with Prime Minister Manmohan Singh in New Delhi, has sealed a $15 billion currency swap line with India, expected to support the falling rupee. Japan will also invest $4.5 billion in the Delhi-Mumbai Industrial Corridor project over five years and is keen to take nuclear talks ahead. India and Japan's bilateral trade, currently at $15 billion, is less than five per cent of the latter's commerce with China. But it is expected to reach $25 billion by 2014. The New Year is set to ring in changes in the telecom sector. The Telecom Commission has accepted the telecom regulator's recommendations to relax rules for mergers and acquisitions in the sector and allow spectrumsharing. This paves the way for consolidation in the sector. Mergers and acquisitions will get automatic clearance if the combined market share of the new entity is less than 35 per cent and spectrum holding less than 25 per cent. In what is seen as the biggest private-equity deal in the market for analytics services, Mu Sigma raised $108 million from General Atlantic and Sequoia Capital. The company boasts of 50 Fortune 500 clients, including Microsoft and Dell. 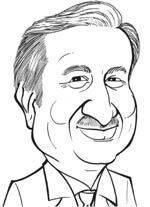 Mu Sigma, one of the US's fastest rising firms, was founded by Dhiraj Rajaram. Airlines facing rough weather over rising fuel costs and falling ticket prices now have to contend with the taxman, too. Kingfisher Airlines' debt troubles are well known. But now the income-tax department has sent notices to the promoter of Jet Airways, Naresh Goyal. A non-resident Indian, whose company Tailwinds owns a 79 per cent stake in Jet Airways and is based in the Isle of Man in the UK, Goyal has claimed there is no tax evasion on his part. As Europe wobbles, it is time for strategic buys. Tata Power has decided to buy out BP Alternative Energy's entire holding of 51 per cent in their joint venture, Tata BP Solar, for an undisclosed sum. UK-based BP Plc, parent of BP Alternative Energy, has decided to shut down its solar unit on account of global economic challenges. The stock market threw up a surprise on December 30, with Tata Consultancy Services, or TCS, upstaging Reliance Industries, or RIL, as India's most valued company in terms of market valuation. The share price of RIL slipped 2.81 per cent to a low of Rs 692.90, with its valuation falling to Rs 2.26 trillion (one trillion equals 100,000 crore) - below TCS's Rs 2.27 trillion. RIL had lost its coveted position twice before this year, to Infosys and Coal India, but regained it later. Saudi Prince Alwaleed bin Talal has invested $300 million in Twitter, the microblogging website that has more than 100 million users. The stake purchase is significant as Twitter was an important means of communication for protestors during the Arab Spring Revolution, which swept over Saudi Arabia, too, until the kingdom unveiled a $130 billion social spending package. 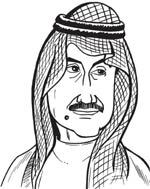 Alwaleed's other investments include stakes in News Corp, General Motors, Apple and Citigroup. The Securities and Exchange Board of India, or SEBI, has barred seven companies from raising funds from the public for suspected misuse of proceeds from initial public offerings, or IPOs, pricing irregularities, and inadequate disclosure of information. SEBI also barred six investment bankers from managing share sales for alleged failure of due diligence in overseeing the IPOs. Separately, SEBI has also proposed new rules for investment advisors requiring them to be registered with a self-regulatory organisation before undertaking such a role. 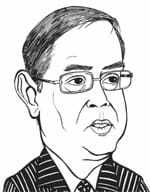 SEBI Chairman U.K. Sinha says investment education will be included in the Central Board of Secondary Education curriculum soon. The much-debated Lokpal Bill was stuck in the Rajya Sabha. After managing to pass the Bill in the Lok Sabha, the ruling United Progressive Alliance, or UPA, fought shy of voting for lack of numbers even as the opposition moved 187 amendments to the anti-graft legislation. UPA ally Trinamool Congress, among others, opposed the idea of the Lokayukta, saying it encroached on the powers of state governments. Rs 40,000 cr Estimated additional government borrowing in the next three months of the current financial year. This is expected to bridge the revenue deficit and push the yields in the bond market. $790 bn Estimated Asia revenues of global corporate and investment banks in 2015. India and China contribute 45 per cent of the total revenue of these banks, according to McKinsey. $1.16 bn Foreign direct investment, or FDI, in India in October, a decline of 50 per cent year-on-year. In September, FDI inflows had been $1.76 billion, down by 16.5 per cent. Eight core industries - coal, crude oil, natural gas, refinery products, fertilisers, steel, cement and electricity - which have a 38 per cent weight in the index of industrial production, or IIP, are spreading some cheer in the otherwise gloomy economic scenario. The infrastructure sector's combined output was the higest in four months, expanding 6.8 per cent in November. IIP growth in October fell 5.1 per cent, the lowest in 31 months. It's a rate war for non-resident external, or NRE, term deposits after the Reserve Bank of India freed interest rates on such deposits to attract foreign exchange and arrest the rupee decline. At last count, State Bank of India, Punjab National Bank, HDFC Bank, and a host of smaller banks have queued up to woo such accounts. Finance Minister Pranab Mukherjee is slated to kick off his annual pre-Budget meetings on January 11. The first of such meetings will be with agriculturists. Social sector experts will meet the FM on January 17, and bankers on January 19. The exercise will end on January 20 after a meeting with economists. It is earnings season again. HDFC and Infosys are set to report their Q3 financials on January 12, with Bajaj Auto following on January 19. Analysts expect technology stocks to report better than expected earnings as the depreciating rupee will work in their favour.